Robert Earl Meekins Jr., a 28-year-old black man, died on Saturday, Jan. 5, after he was shot inside the Gable House Bowl, 22501 Hawthorne Blvd., in Torrance, according to Los Angeles County Medical Examiner-Coroner records. Meekins was at the crowded bowling alley on Friday, Jan. 4, with his close friend Astin Kyle Edwards, 28, the godfather of his 5-year-old son. About 11:54 p.m. a group of women began fighting, according to a news release from the Torrance Police Department. The fight escalated to include men and then someone began shooting, The Times reported. Seven people were struck by gunfire, according to the release. Four were taken to the hospital and survived their injuries. But Meekins, Edwards and a third man, Michael Di'Shawn Radford, a 20-year-old black man, were pronounced dead at the scene at 12:07 a.m.
Astin Kyle Edwards, a 28-year-old black man, died on Saturday, Jan. 5, after he was shot inside the Gable House Bowl, 22501 Hawthorne Blvd., in Torrance, according to Los Angeles County Medical Examiner-Coroner records. 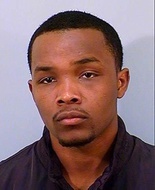 Edwards was at the crowded bowling alley on Friday, Jan. 4, with his close friend Robert Earl Meekins Jr., 28. Edwards was godfather to Meekins' 5-year-old son. Seven people were struck by gunfire, according to the news release. Four were taken to the hospital and survived their injuries. But Edwards, Meekins and a third man, Michael Di'Shawn Radford, a 20-year-old black man, were pronounced dead at the scene at 12:07 a.m.
Michael Di'Shawn Radford, a 20-year-old black man, died on Saturday, Jan. 5, after he was shot inside the Gable House Bowl, 22501 Hawthorne Blvd., in Torrance, according to Los Angeles County Medical Examiner-Coroner records. Radford was at the crowded bowling alley on Friday, Jan. 4, just before the start of a popular glow-in-the-dark event called Rock-n-Glow, The Times reported. About 11:54 p.m. a group of women began fighting, according to a news release from the Torrance Police Department. The fight escalated to include men and then someone began shooting. Seven people were struck by gunfire, according to the news release. Four were taken to the hospital and survived their injuries. But Radford and two other men, longtime friends Astin Kyle Edwards, 28, and Robert Earl Meekins Jr., 28, were pronounced dead at the scene at 12:07 a.m.
Christopher Deandre Mitchell, a 23-year-old black male, died Friday, Dec. 7, after being shot in Torrance, according to Los Angeles County coroner's records. 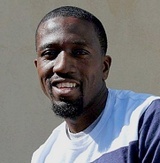 Bronze Obinna Ibe, a 28-year-old black man, died Wednesday, June 20, after he was shot in the 24400 block of Crenshaw Boulevard in Torrance, according to Los Angeles County coroner's records. The night before, Torrance police officers were called to the Home Depot parking lot at 24451 Crenshaw Blvd. at 11:38 p.m., regarding shots fired. They found Ibe in the parking lot with gunshot wounds, according to a department news release. Ibe was taken to a nearby hospital, where he was pronounced dead at 12:13 a.m., according to coroner's records. The release did not provide any suspect information. Sgt. Ronald Harris, a police spokesman, said he couldn't provide more details about Ibe or the crime scene. 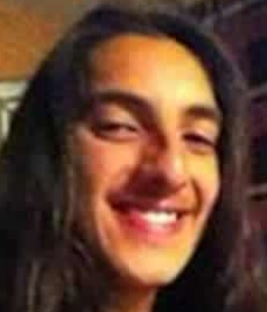 Juan Carlos Perez-Victor, a 19-year-old Latino male, died Friday, June 1, after being shot in Torrance, according to Los Angeles County coroner's records. Michael David Lopez, a 44-year-old Latino, was fatally shot by police on Saturday, Oct. 14, in the 2800 block of South Sepulveda Boulevard in Torrance, according to Los Angeles County coroner’s records. Torrance police spotted Lopez, who was driving a green Ford Ranger and was believed to be under the influence, and tried to pull him over about 2 a.m., according to a news release. Lopez refused to stop, and a chase began, authorities said. Police twice tried to stop Lopez by hitting the back of his truck in an effort to send it into a spin, a tactic known as a Pursuit Intervention Technique, or a PIT maneuver. The second attempt ended in the 2800 block of Sepulveda Boulevard, where police shot Lopez, the release said. He was transported to a hospital, where he was pronounced dead at 2:44 a.m., according to coroner’s records. Michelle Lee Shirley, a 39-year-old black woman, was shot to death by a Torrance police officer Monday, Oct. 31, near the intersection of Sepulveda Boulevard and Cabrillo Avenue in Torrance, according to Los Angeles County coroner's records. About 2:28 p.m., Torrance officers received a multiple calls about a reckless driver, according to a news release. Callers said a Ford Fusion,had collision damage and that the side airbags had deployed, the release said. Once police spotted the car, officers boxed it in, according the news release. As the driver tried to get away, officers opened fire on the car, striking the driver, who was later identified as Shirley, the release said. Shirley, of San Diego, was taken to a hospital where she was pronounced dead at 3:05 p.m., according to coroner's records. Tatiana Alexandra Howard, a 48-year-old white woman, was shot and killed Sunday, Aug. 14, in the 100 block of Palos Verdes Boulevard in Redondo Beach, according to Los Angeles County coroner’s records. A niece and a cousin who were in the home at the time told investigators that the father pulled out a handgun and shot his daughter, Kranke said. The other family members ran out of the apartment, Kranke said, and the niece ran to a neighbor who called the police. When officers arrived, they saw Robert Howard standing outside, Kranke said. When he saw the officers, he went back inside his apartment and the officers heard another shot from inside. Keon Bailey, a 20-year-old black man, was shot and killed Tuesday, March 8, at 18099 Prairie Ave. in Torrance, according to Los Angeles County coroner’s records. Bailey walked into Leilani’s Jewelers just before noon and pointed a gun at the store owner in a robbery attempt, Torrance Police Department spokesman Sgt. Paul Kranke said. The owner of the store pulled out his own gun and fired twice, killing Bailey, Kranke said. Bailey was pronounced dead at the scene at 12:17 p.m., according to coroner’s records. Investigators found a 9-millimeter handgun at the scene they think belonged to Bailey, Kranke said. The gun had not been fired, he said. Tina Antero Lawrence, a 47-year-old Latina, was shot and killed Sunday, Oct. 11, in the 3800 block of West 180th Place in Torrance, according to Los Angeles County coroner’s records. About 12:20 a.m., neighbors called police after hearing an argument and gunshots, said Sgt. Paul Kranke with the Torrance Police Department. Investigators found that Lawrence and her 32-year-old live-in boyfriend had gotten into an argument, Kranke said. The man then pulled out a gun and shot Lawrence, then shot himself. Lawrence was pronounced dead at the scene at 12:35 a.m.
Investigators determined that the boyfriend was mentally ill, hadn’t been taking his medication and accused his girlfriend of having an affair. The weapon was registered to Lawrence, Kranke said. Mytatiyana Wynekasherrie Conner, a 27-year-old black woman, was shot and killed Saturday, March 28, in the 22500 block of Hawthorne Boulevard in Torrance, according to Los Angeles County coroner’s records. About 12:45 a.m., Conner was involved in “some kind of argument or confrontation” that evolved into a gun battle in the parking lot of the Gable House Bowl bowling alley, said Torrance Police Sgt. Paul Kranke. Multiple shots were fired, Kranke said, but the only person struck appeared to be Conner, who lived in the Westmont area of Los Angeles, about 15 miles northeast of Torrance. Rafaela Maria De Casas, a 69-year-old Latina, was found dead Saturday, Sept. 20, in the 3800 block of West 226th Street in Torrance, according to Los Angeles County coroner’s records. Police went to an apartment in the area about 8:15 p.m. and found an "incoherent" man with self-inflicted wounds and a woman with what appeared to be stab wounds, said Torrance Police Sgt. Paul Kranke. The woman, identified as De Casas, was pronounced dead at the scene at 8:18 p.m. said Ed Winter, assistant chief of investigations for the coroner’s office. The man, identified as De Casas’ son, Rudy De Casas, was taken to a hospital and is in police custody. “I think he kind of took care of her,” Kranke said of the woman, who lived with her son and his wife.